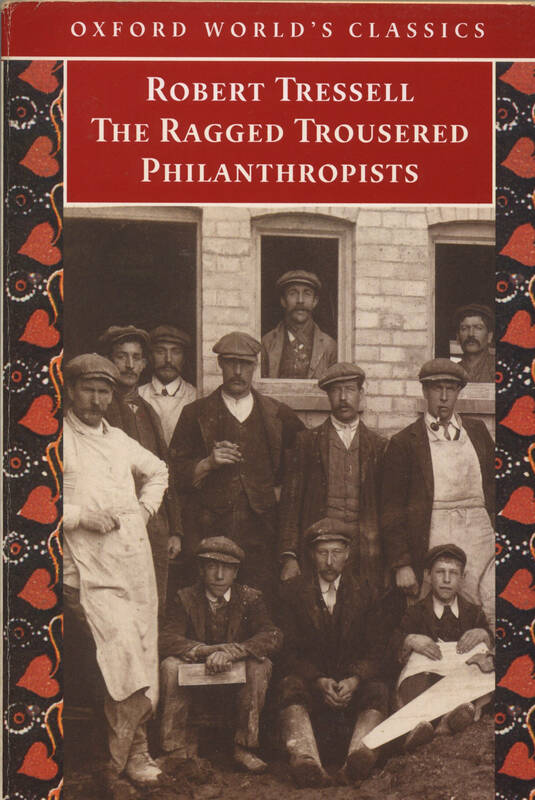 Robert Tressell who’s real name was Robert Noonan began writing The Ragged Trousered Philanthropists in 1906, but it was not published in full until 1955. The first abridged version was published on the 23rd April 1914. In writing this book my intention was to present, in the form of an interesting story, a faithful picture of working-class life – more especially of those engaged in the Building trades – in a small town in the south of England. I wished to describe the relations existing between the workmen and their employers, the attitude and feelings of these two classes towards each other; the condition of the workers during the different seasons of the year, their circumstances when at work and when out of employment: their pleasures, their intellectual outlook, their religious and political opinions and ideals. The action of the story covers a period of only a little over twelve months, but in order that the picture might be complete it was necessary to describe how the workers are circumstanced at all periods of their lives, from the cradle to the grave. Therefore the characters include women and children, a young boy – the apprentice – some improvers, journeymen in the prime of life, and worn-out old men. I designed to show the conditions resulting from poverty and unemployment: to expose the futility of the measures taken to deal with them and to indicate what I believe to be the only real remedy – namely socialism. I intend to explain what Socialists understand by the word ‘Poverty’: to define the Socialist theory of the causes of poverty, and to explain how Socialists propose to abolish poverty. It may be objected that, considering the number of books dealing with these subjects already existing, such a work as this is uncalled for. The answer is that not only are the majority of people opposed to Socialism, but a very brief conversation with an average anti-socialist is sufficient to show that he does not know what socialism means. The same is true of all the anti-socialist writers and the ‘great statesmen’ who make anti-socialist speeches: unless we believe that they are all deliberate liars and impostors, who to serve their own interests labour to mislead other people, we must conclude that they do not understand socialism. There is no other possible explanation of the extraordinary things they write and say. The thing they cry out against is not Socialism but a phantom of their own imagining. 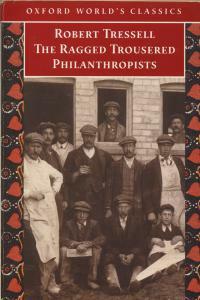 Another answer is that ‘The Philanthropists’ is not a treatise or essay, but a novel. My main object was to write a readable story full of human interest and based on the happenings of every day life, the subject of Socialism being treated incidentally. This was the task I set myself. To what extent I have succeeded is for others to say; but whatever their verdict, the work possesses at least one merit – that of being true. I have invented nothing. There are no scenes or incidents in the story that I have not either witnessed myself or had conclusive evidence of. As far as I dared I let the characters express themselves in their own sort of language and consequently some passages may be considered objectionable. At the same time I believe that – because it is true – the book is not without its humorous side. The scenes and characters are typical of every town in the South of England and they will be readily recognised by those concerned. If the book is published I think it will appeal to a very large number of readers. Because it is true it will probably be denounced as a libel on the working classes and their employers, and upon the religious-professing section of the community. But I believe it will be acknowledged as true by most of those who are compelled to spend their lives amid the surroundings it describes, and it will be evident that no attack is made on sincere religion…..